Make all the “Fetish” jokes you want, but we here at the Riot HQ have a thing for bookish shoes. Heels, flats, sandals, sneakers…you name ’em, if they’ve got a literary twist, we’ll wear ’em. Some of these have been featured in past Book Fetish articles, but there are some new kicks here as well. Pulp lovers – comics and newspapers alike – have plenty of choices to decorate their stems. 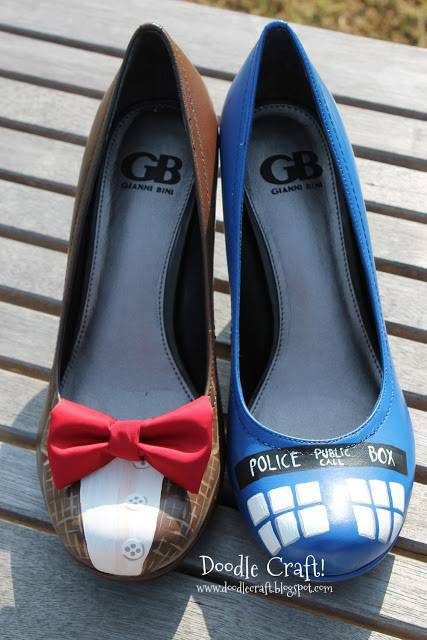 There are some great DIY instructions on the bookternet if you want to create a custom pair. Of course the single-theme shoes are a must for a list like this. Harry Potter shoes are so hot right now. 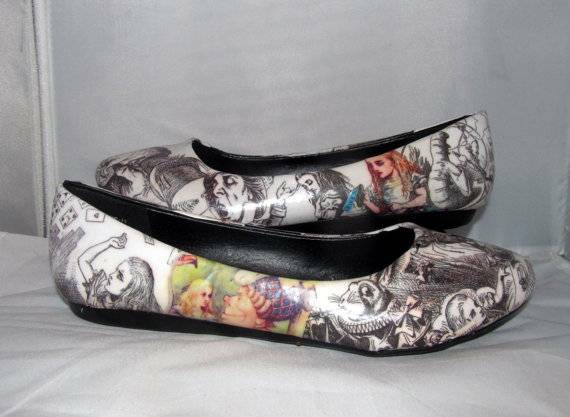 Lastly, there are those shoes that are all about the books themselves. And New Balance’s Author Collection throws a head nod to those writers you love without being totally obvious about it.